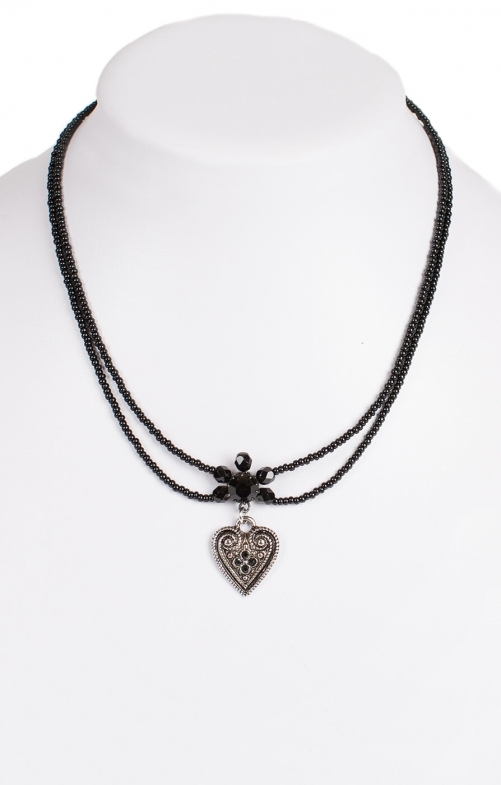 Women’s traditional black necklace. The chain of this striking black necklace has been created with a double row of tiny black beads and can be easily adjusted to the desired length. The chain supports a metal heart pendant that has been formed using a traditional Bavarian-style design and boasts a cluster of four black gems in the centre. Material: Perlenkette 2-reihig. Nickelfrei. Länge verstellbar von 42 - 47 cm.